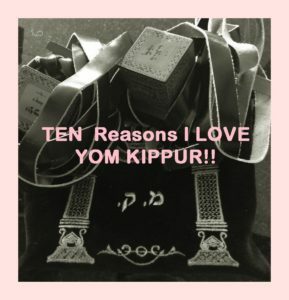 Yom Kippur and the 10 reasons WHY I love it! Yom Kippur, the day of atonement, the most important spiritual day in the Jewish faith, happens to be one of my favorite days of the year. I first learned about Yom Kippur when I lived in Canada and was dating a Jewish guy from New York. He was of Russian decent, had been raised as a Conservative Jew as a child, and then, in adulthood, was definitely what you would call a Reformed Jew. However, several months into dating me, long distance, he started to question his faith and was attending the Labovitz Temple, which— if you know anything about Judaism—meant that he was definitely flirting with becoming an Orthodox Jew. If I can make a comparison for those out there who don’t understand the various levels of the Jewish Faith, it’s kind of like, well if I could compare it to eating ice cream, hmm: as a child he only ate ice cream on Sundays; then as a young adult he ate ice cream all the time, at all hours of the day and night; until he met me and all of a sudden started to question his ice cream eating ways, and was considering not eating it at all –like never, ever, ever again. My boyfriend had always Davened, and his Jewish faith had always been a significant part of his life, yet now that he was seriously dating a SHIKSA (me), his ice cream eating ways were plaguing his heart and his head. So, for the first time in the year we’d been dating, he told me that on Yom Kippur, he was not going to be able to text or call me. In fact, he was going to abstain from eating and drinking on this day, and would be spending the entire day in synagogue repenting his sins so he could move forward into the next year with a clean ‘sin’ slate. I somehow knew that one of the sins he would be repenting was me— the blonde-haired, blue-eyed, spiritual yet not religious at all, Canadian farm girl who had her SHIKSA clutches on his heart. For the first time since I had known him, I worried that this Yom Kippur thing might cause him to break off the relationship with me. Oddly, his Davening and hanging out with his Orthodox friends—friends whose faith forbade them to even shake my hand—had never been a cause for concern to me at all. Well, you can imagine my surprise when, about three quarters of the way through Yom Kippur, I received a text from him— a text that he had snuck out of temple to make, in order to check on me to see if I was okay—and it made me realize several things: not only was he not going to give up eating ice cream, he really must have loved me to risk reaching out to me on this sacred, holy day. He risked not getting a clean ‘sin-free-slate’ because of me! Even though this relationship didn’t ultimately work out, I am still good friends with this man. To this day, this is a fond memory for me, and I always smile when I think of Yom Kippur, as for me, it wasn’t a day of atonement, but a day of acknowledgment that love is shown to us in many different ways. However, now living in Beverly Hills, of course, I am well aware of Yom Kippur for a host of other reasons. So here is how my Yom Kippur rolled last year, to help you better understand why I love Yom Kippur! I didn’t have to wake up early to sign up for my spin class, because… guess what? Only about 5 out of the 27 bikes were in use! Yay, I got to sleep in an extra hour, woo hoo! Plus, I didn’t have to leave 15 minutes early to get to the gym, as there was absolutely no traffic on the streets at 7 am! That meant an extra cup of coffee! Whee! On top of that, the traffic was so light, that I even had time to stop and fill up at the Gas station on the way to work, without worrying about being late! Yay, one errand was crossed off my list! Once at work, the phones weren’t ringing, and business was light, so I managed to catch up on everything and, when done, I had time to check out all my social media sites, and comment on everyone’s pictures; excited to know what everyone has been up to, and thankful that this ‘chore’ was done. As it neared lunch, I asked my boss if I could take a longer lunch break and get some errands done, as most of our office was out for Yom Kippur. So during my long lunch break, I started by taking my filthy car to the car wash, and instead of the normal 50 to 60 minutes it takes to drop off your car and wait, my shiny clean car came out in a jiffy and was hand-dried straight away, the whole process taking 20 minutes tops. Brilliant I say, positively brilliant! So, then I headed to my second errand on my list and went to the bank, and with only one person in line in front of me, I managed to complete my transaction, and be in and out of the bank in under 7 minutes, record time I say, record time! I started to look at the clock, and I seriously thought I could make it to Bed Bath and Beyond—located near Olympic and Bundy— to pick up a few items that I had been needing to get for several weeks. And thank God, I remembered to put my 20 percent off coupons in my bag just in case I was able to squeeze in this errand. So, with my pedal to the metal, I flew to Bed Bath and Beyond, making it there in 10 minutes, ran in and grab a cart, got everything on my list, and was back in my car 15 minutes later! Amazeballs I say, amazeballs! So, my pesky errands were all finished, and guess what? I still had about 40 minutes left in my extended lunch break. 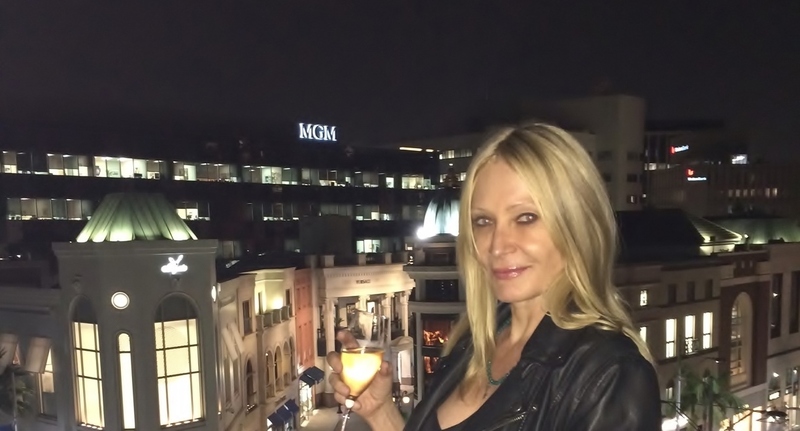 As I was almost back into Beverly Hills, I called my salon to see if I could squeeze in a blow-dry (which normally you need to book in advance, as my stylist is great and in high demand) and of course the salon was dead quiet. Thirty minutes later I was heading back to work with all my errands of the week done and with awesome-looking hair. The afternoon at work was so quiet that everyone left early, so I decided to stop at Whole Foods in Beverly Hills on the way home. And holy crap! Normally, at 5pm, you can’t find a parking spot and you have to hover and wait for one to open up, except on Yom Kippur the lot was half vacant, and I parked, shopped and was back in my car heading home by 5:20 pm. Now as the evening began, and Yom Kippur ended, I realized that I had a wonderful day, with no lines, no traffic, no stress at work and I managed to get a laundry-list of errands done. So with my beautiful blow-out, I headed out to an event, and just when I thought the day couldn’t get any better… my UBER ride came fast and because the demand for rides was so low because of Yom Kippur, and there was NO SURGE PRICING during prime time! BooYA!!! So that is why I LOVE YOM KIPPUR. At the end of the Yom Kippur day, I truly hope that my all my Jewish friends have had an easy fast, because, hello, my day was damn easy! And that is why this SKIKSA loves Yom Kippur! Below is the audio link for those who are stuck in traffic on the 405… If you like this story please like on Facebook , or share…but I hope it makes you smile! Great story Janell! Wouldn’t be great if we all found something great to celebrate about every religion? The food, the costumes, the history behind them? They all have beauty, if we look and learn. I don’t know what Yom Kippur is, but I’m living your story!